It’s a flat stone in the small country churchyard at Byrd Memorial Methodist Chapel in Kents Store, Fluvanna County, Virginia. Yesterday morning it marked the resting place of Ray Childress, born 1924 and died 1992. But there is another name on the stone: Carol Childress. And though it has only one date — her birthdate, in 1931 — there is more engraving now to be done. For, yesterday afternoon, under threatening skies, the family gathered once again in that small country churchyard and said goodbye to yet another of our loved ones. Carol Ray Cottrell Childress. Born 20 December 1931 in Midland County, Texas. The eighth-born child of my grandparents, Clay Rex and Opal (Robertson) Cottrell and sixth of the 10 they raised to adulthood. It isn’t that we weren’t expecting this. Carol was diagnosed with stage IV colon cancer this summer, and the news from the medical folks was uniformly grim. There was no combination of surgery, chemotherapy, radiation or other medical wizardry that was going to change the outcome. Saying goodbye doesn’t ever get any easier. And even these lovely images don’t ease the pain of a loss like this. 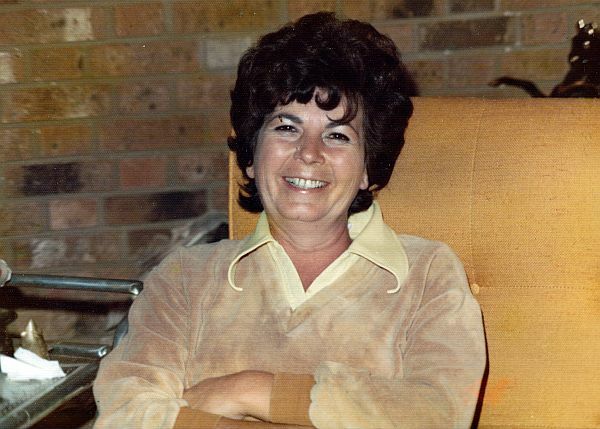 Rest in peace, sweet aunt. We will always miss you. 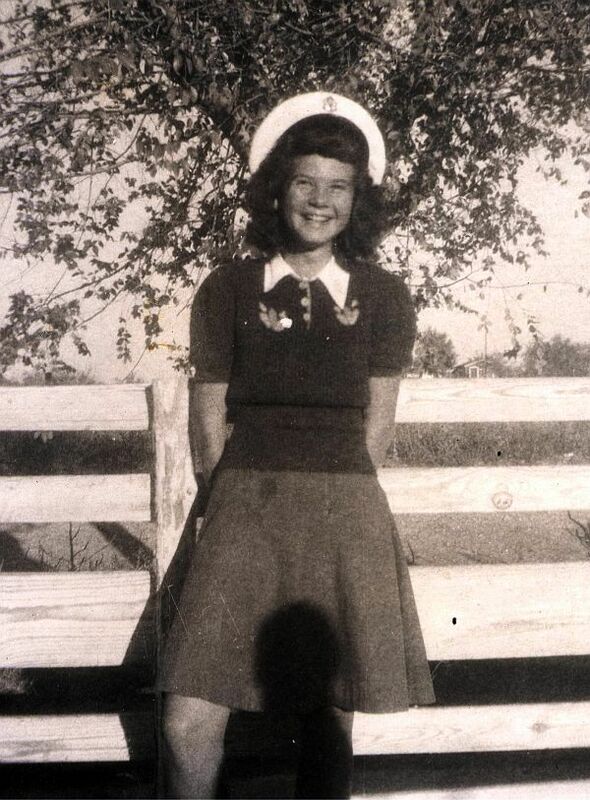 Note: Many thanks to my cousin Paula Williams for organizing, archiving, uploading and caretaking the family photo collection, and for taking and sharing the tombstone photo. A beautiful tribute to what was obviously a lovely lady. I’m so sorry for your loss. 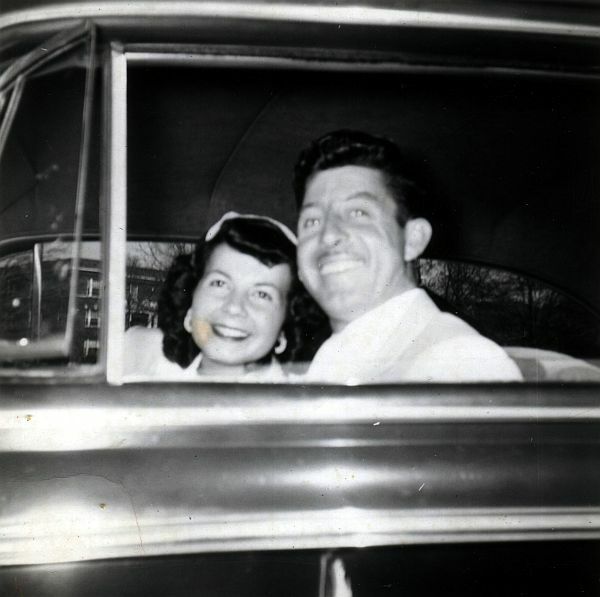 This post is an compelling combination of family history, personal loss, and the use of photography to illustrate the narrative of your aunt’s life. Thanks so much for the kindness. My family is surely hurting right now. I’m sorry, Judy. The last of my dad’s 7 siblings died this year and it was painful on so many levels. Blessings on you all. Thanks, Debra… and oh… I don’t even want to think of the day when we get to the last one. Wow, what a loss. Thanks, Clare. That’s my favorite picture too and the way I will always remember her. Rest in Peace, Carol. Your memory will always be alive with Judy’s wonderful memories. Thanks so much, Barbara. I’m so glad that so many of the youngsters in my family got to know her. That will keep her memory alive even longer. Sniff, sniff. What a touching tribute to a beautiful woman with an amazing smile! Debi, that smile was absolutely electric — it could light up a room. Thanks for your kindness. Very sorry for your pain, July. Your Aunt Carol sounds like a terrific lady. Thank you for sharing her with us. Thanks, Barbara. I wish everyone could have known her. I’m so sorry to hear of your Aunt’s passing. May you be comforted by all the wonderful memories you have of her. Thanks for your kindness, Pat. As usual, you write beautifully, expressing the joy of your Aunt’s life. I am sorry for your loss. Thanks so much for the kind words, Anne. She was such an amazing lady, and such a presence in all of our lives — it’s so hard to imagine the world without her. And thanks for the thanks 🙂 I must say, there’s nobody who gets more out of playing with the family photos than me. Even if nobody else ever sees them – the rest is true bonus. As for any that I take, I had forgotten I took the gravestone photo! 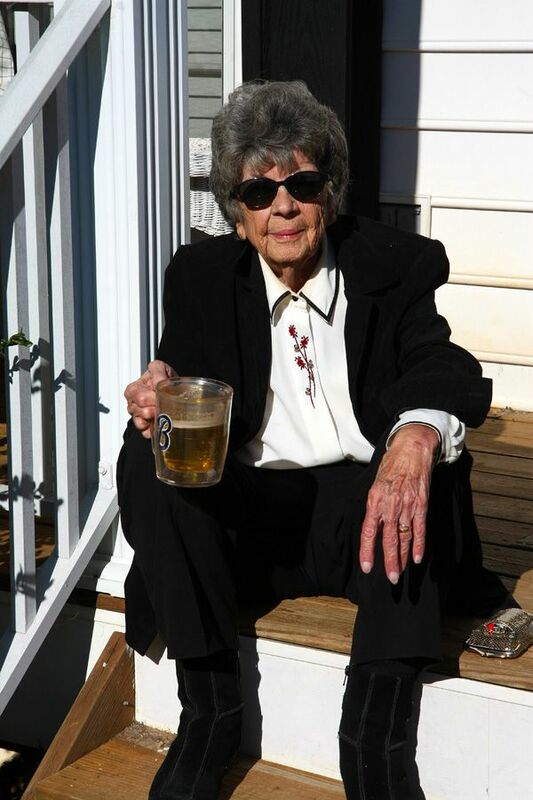 I am most grateful, however, that she let me take that photo of her on the steps with the beer last Thanksgiving. 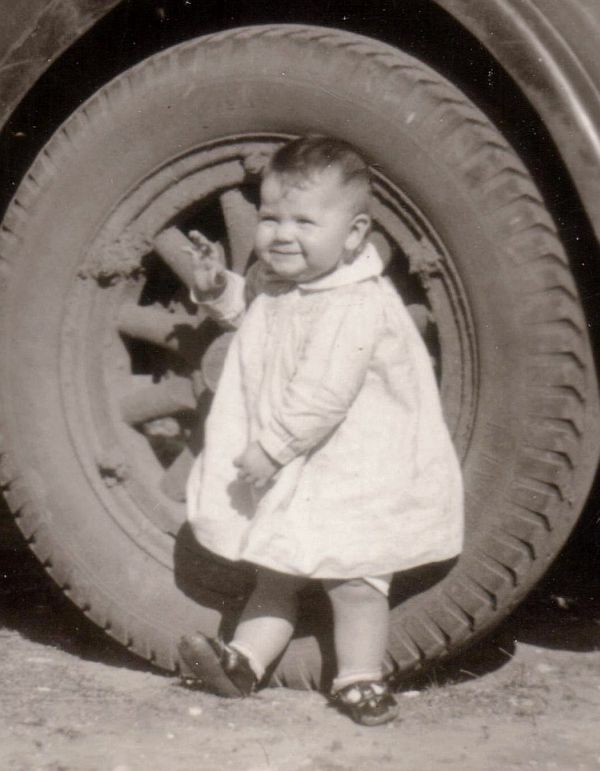 She had a tendency to run from the camera in her later years. No idea why, though, she was as beautiful then as she always was. Not that I can see that at the moment through the tears, of course. I sure hear you about the tears. Hard to type through them either. And you may remember the tombstone image from when you did the imaging for our folks for USGenWeb’s tombstone project (something else I’m grateful to you for). I am truly sorry for your loss. “The Emperor of all Maladies” does not leave any family unaffected. I heard a song recently the last verse of which spoke very deeply to me. I will share it with you in the hope that it brings some peace. That’s a sweet verse, John, and we all thank you for it. Lovely writings on yr dear Aunt and photos of her. I am sorry for you and yr family’s loss. So sorry for the loss to you and your family. Carol must have been a wonderful aunt for you. Your post brings her to life for those of us who never knew her. Thanks, Keith. Appreciate your kindness. Judy So sorry to hear. Hugs to all the family in their time of grief. I lost my dad in 2006 to the same evil disease. The other day though I heard my 6 year old granddaughter talking about him. She was 6 weeks old when we made the trip back to Colorado to tell him goodbye and so he could hold her. So she did get to meet him once. She told her dad “I really miss Grandpa Bill”. Her dad’s eye’s got misty and he asked why. She began to tell of all of the memories that myself and my children fondly recall. She talked like she was there and she was part of it. As I heard my son describe this I realized. My dad isn’t gone. He rests not in pain anymore, but in the hearts of all of us, including a 6 year old little girl and her 10 year old brother who will tell those stories to her younger cousins so they too can know Grandpa Bill. Then someday to their kids. He will always be here for them to share. That is what you have given to your family Judy. Priceless memories. Oh Trish that is so sweet. It heals my heart to hear of your little granddaughter with those stories. And we’ll all redouble our efforts to make sure that even our littlest ones remember those we love. Warm thoughts to you and your family, Judy. It’s so difficult to lose someone so dear in your heart. I love the last photo of her – I’d have been out there clinking with her too, if she’d been in my family! Lots of wonderful memories you have to share about her and the others already passed. As we see the ones left, we are now becoming the older generation. I’m more and more are that it’s more than time to write down those great little stories and experiences of our family. Hugs and best wishes to y’all there. Thanks, Celia. I do realize, chronologically, that my generation is quickly becoming the Older Generation in my family. But oh… how I want to slow that process down. I have one uncle, now in his 80s, who still calls me “child.” I dread the day — coming all too soon — when even that is lost to me. I’ve said it before and I’ll say it again–you write beautifully. What a touching tribute this is to your beloved aunt. Thanks for your kindness, Ginger. She is so very sorely missed. Seems at times we are not done working through the pain of losing a loved one, when it becomes time to say goodbye to another person we love! My heart goes out to you and your family! Thanks so much for your kindness, Skip. Thanks so much for your kindness, Loralee.